Heat oven to 375ºF. In medium bowl, stir cookie mix, butter, flour and egg until dough forms. Roll dough on floured surface until about 1/4 inch thick. Cut with 3-inch round cookie cutter. Place 2 inches apart on ungreased baking sheet. 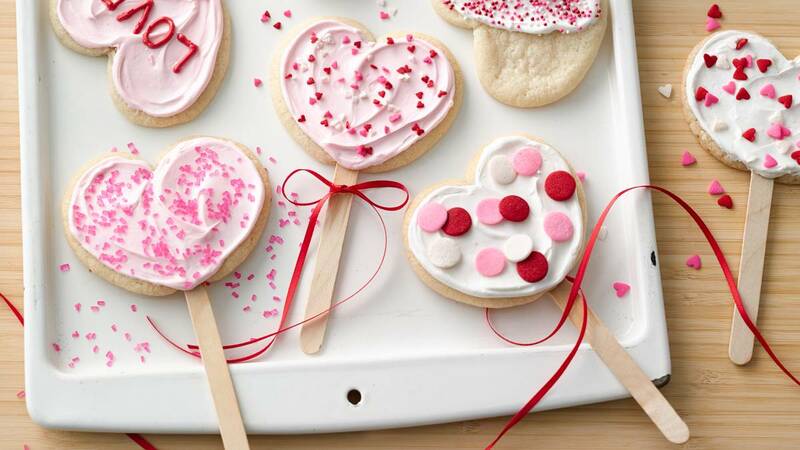 Carefully insert a wooden stick into side of each cookie. Bake 9 to 11 minutes or until edges are light golden brown. Cool 1 minute before removing from baking sheet. Cool completely, about 30 minutes. Frost cookies with frosting. Decorate with candy decorations. Special Touch: A drop or two of red food colouring stirred into white frosting will give you a lovely pink coloured frosting.